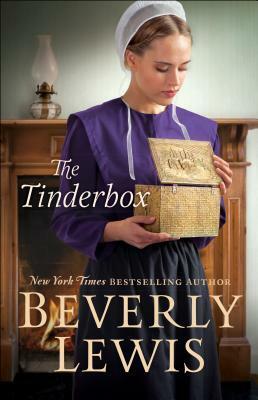 Today I am reviewing The Tinderbox …by Beverly Lewis. 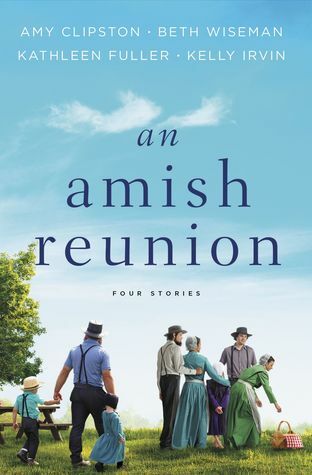 Today I am reviewing An Amish Reunion by Amy Clipston, Beth Wiseman, Kathleen Fuller, and Kelly Irvin. At eighteen Hannah Kauffman made a terrible mistake. Her parents and members of her Jamesport Amish community say they’ve forgiven her. But she feels their eyes following her everywhere she goes with eighteen-month-old Evie. Thaddeus, Evie’s father, escaped this fate by running away from Jamesport. Now that Thaddeus is gone, Hannah’s old friend Phillip is stepping up to be by her side. He has waited patiently for Hannah to realize just how much he cares for her. But when Thaddeus returns after two years, Hannah can’t deny the love she feels for him. Does the fact that Phillip has waited patiently for her all this time mean that she owes him something? Can she trust either one of them? Can she trust herself? She has repented and been forgiven by the One who is most important—her heavenly Father. But is she willing to risk making more mistakes by opening herself up to love? I loved reading these awesome stories… by some of my favorite Amish fiction authors. I enjoyed the reunion of Marlene Bawell and Rudy Swarey… and sweated bullets worrying about if Marlene’s father would force her to move away from Bird-in-Hand again just as she’s finally beginning to hope for a future in her beloved town. I was a bit surprised at the ending but, as usual, Amy did a great job! The story of Ruth and Gideon Beiler is very sad… with several twists and turns along the way. I was more than a little thrilled to discover how they worked to overcome the past… and find a way to put their sorrow behind them. Cevilla Schlabach is amazing! I just love her! When she meets someone from her past, is there any chance for love to finally bloom? Chances are slim, considering she’s Amish and he’s English. Kathy came up with the best ending for this story! It’s one that I’ll enjoy reading again and again. Hannah Kauffman has paid for her past sins… but those in her community, although they forgave her, refuse to forget it — and she feels as if she’ll never overcome the shame and humiliation of it. If only Thaddeus had stayed… and married her, everything would be different now. Of course, he would return… just when Phillip, one of the few people who remained friends with her, is ready to make her his wife! Thaddeus is determined to convince Hannah that he wants her to marry him! Oh gee, what’s a woman to do! What will she do? Who can she trust? I won’t say anything more about it, except that I was delighted with Kelly’s solution… and the rest of the story. 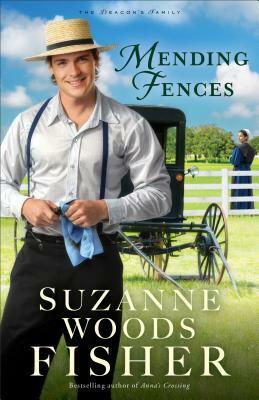 Today I am reviewing Mending Fences, the first book in The Deacon’s Family series, by Suzanne Woods Fisher. I absolutely LOVED reading about Luke Schrock. . . and how, after messing up his life with alcohol and more than his share of mistakes. Thankful for a chance to fix things, Luke returns home to Stoney Ridge — only to find out everyone isn’t eager to welcome him back. One of his conditions of moving back is to offer his sincere apologies, which doesn’t come easily for him — especially when the people he wronged were more hurt by his actions than he would ever have expected. Gulp! It seems like he may never get done. . . and this just may be his last chance to make things right! If you’ve enjoyed reading stories by Suzanne Woods Fisher, I can almost guarantee that you’re gonna LOVE this series! I can’t wait for the next book in the series, which will be available later this year. 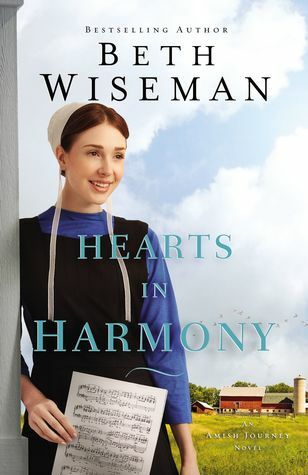 Today I am reviewing Hearts in Harmony, the first novel in the An Amish Journey series, by Beth Wiseman. I loved reading about Mary Hershberger and Levi Shetler… honestly, I worried a bit over how Levi would figure out how to live with his desire to play an instrument that wasn’t allowed by his church rules. And if Mary would just make things worse if she encouraged him —or supported him in his determination to continue to play. And if I reveal what happens, I’ll spoil the story for you, so I won’t say anything more about it, except that I was delighted with Ms. Wiseman’s solution… and the rest of the story. Don’t miss this wonderful beginning of a great series! 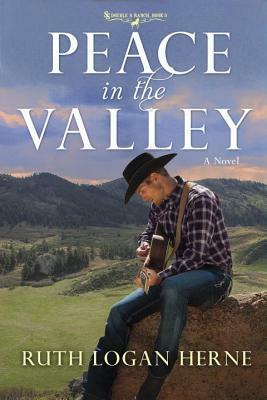 Today I am reviewing Peace in the Valley, the third book in the Double S Ranch series by Ruth Logan Herne. In spite of their differences, Trey Walker Stafford knows he owes his life to cowboy and legendary rancher Sam Stafford–the uncle who rescued him after his parents’ death. Trey had left the Double S Ranch to pursue music against Sam’s wishes, but returns to central Washington when he learns he’s the best match for a procedure that could save Sam’s life. Although Trey’s found country music fame and success, he’s also endured the tragic loss of his wife. He croons about love, but struggles with a yawning emptiness he can’t explain. As the two grow closer, Trey slowly begins to open his heart to this beautiful woman and strives to let go of the grief he’s held for years. Lucy has a complicated history of her own. Can Trey accept her as she is, learn to forgive the past, and find the elusive peace he’s sought for so long? This is another series by Ruth Logan Herne for my TOP SHELF! When Trey Stafford learns that his uncle needs him, he returns home, prepared to do the right thing. While he’s there, he meets Lucy Carlton, who needs his help, too. This is such an intriguing story. . . a member of my family had the same procedure, so it was very familiar to me. The story was great, with colorful characters facing more than one challenge. Don’t miss out on this wonderful new book from Ruth Logan Herne. Today I am reviewing Home on the Range, the second book in the Double S Ranch series by Ruth Logan Herne. 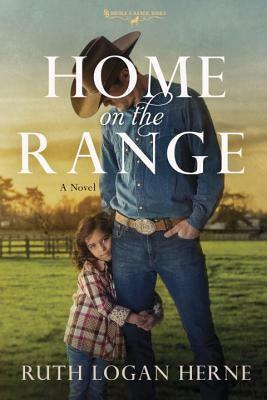 In Home on the Range author Ruth Logan Herne returns readers to the Double S Ranch where God and family are first, but love is certain to follow the Stafford menfolk. Nick made all the wrong choices for all the wrong reasons. His father had failed at marriage and fatherhood. Nick was determined to show him up. He’d be a better husband, better father and a better ranch manager than Sam Stafford ever hoped to be. But Nick’s wife Whitney hated the ranch and she walked out on Nick and their two beautiful daughters three years ago. For a long time Nick pretended everything was fine and when his stubborn nature is finally challenged by trouble with his young girls, he’s faced with the changes he should have made long ago. Psychologist Dr. Elsa Andreas had a thriving family therapy practice, a school commission, a good life, but tragedy pushes Elsa to walk away from her life. Three years later, she’s tucked herself in the backwoods of Gray’s Glen. When her sister encourages her to help Nick Stafford’s daughters, Elsa takes a chance. But Nick’s ex-wife comes back to town, threatening the girls’ newfound stability. Can Nick find the forgiveness and Else the courage to build their own “Home on the Range”? Back In The Saddle was so much fun to read . . . Home On The Range is every bit as good, although I won’t say it’s all fun. Ruthy deals with some painful subjects, such as divorce, desertion, plus a panic attack or two thrown in for good measure. Nick Stafford has made his share of mistakes, but he’s determined to do his best, where his two daughters are concerned. Unfortunately, it doesn’t appear that his best is enough — his oldest daughter is failing school — and has more attitude than she needs! Elsa needs to rejoin the world, starting with helping Nick and his girls. Can she overcome her past long enough to reach for a future that includes a family? You won’t know until you read the book – and you really should read the book. I’m sure you’ll enjoy it as much as I did… to the very end. Don’t miss out on this fantastic new series from Ruth Logan Herne.